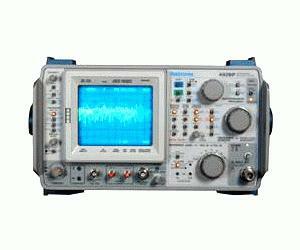 Center frequency: 10KHz to 21GHz internal mixer, 325GHz using optional WM490 series mixers. Resolution Bandwidth (6dB): 100Hz to 3MHz. Frequency Span/Div Range: 0Hz, 100Hz to 10GHz (up to 10GHz in waveguide bands). Automatic noise normalization to 1Hz and conversion for reference units in dBm, dBmV, dBV, dBuV and dB/Hz.